Our organization is counted amongst the leading firms offering Pipe Welding Machines. The offered machines are made using high quality components and by implementing latest technologies. These welding machines are engineered with utmost precision. HDPE Pipe Welding Machine with Clampings are electric and mechanical device which are used to weld HDPE, PVDF and PB pipes. 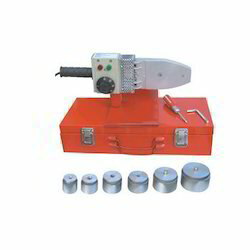 Machine includes Heat element, digital temperature controller, safety box, holding vice with different sizes of jaws, facing machine and long leverage handle for pushing while welding. We offer a high grade range of PPR Pipe Welding Sets. They are electric portable devices which are used to weld PPR, PE, PP, PVDF & PB pipes Size upto 110 mm at sight during installation with joints. We offer these in different size and shapes and also customize as per the specifications of the customers. We offer a wide range of PPR Pipe Welding Machines with clamping. 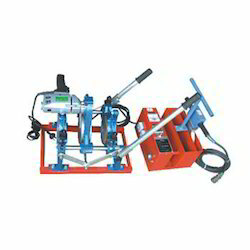 PPR Pipe Welding set is a electric and mechanical device which is used to weld PPR pipes. 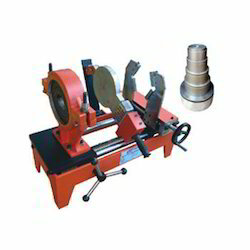 Machine includes Heat Element, Clamping device of fitting and holding jaws for various diameter from 63 mm to 160 mm and its Aluminum dies provide the heat to fitting till melting point to ensure welded pipe and fitting firmly with temperature controller.